I will occasionally find myself doing the hippie-dippiest things and it makes me ridiculously happy. 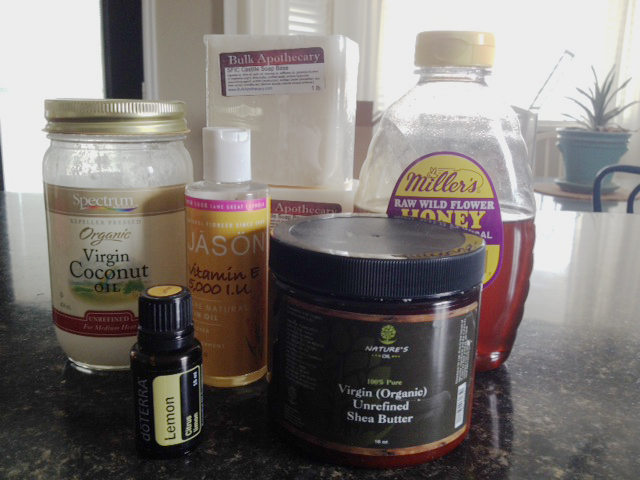 The other day while Hannah was napping, I was making my own face soap. With Calendula petals I dried myself. From flowers I grew in my garden. From seeds. That I obtained from an organic seed swap. I’ll let you digest all the crunchy goodness of that. 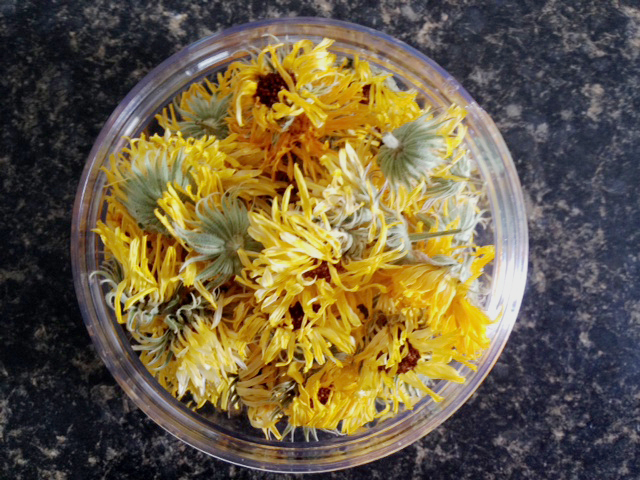 Calendula is awesome for the skin – it brightens and protects it from blemishes. It also fights infections and encourages collagen production. I wanted to share the recipe for this really easy soap. Everything in it is super good for your skin. 20-30 drops essential oil (optional). I used Wild Lemon. Here are all the ingredients gathered up. Cut Castile soap base bars into small chunks (about 1″x1″). Place in microwave-safe bowl. Heat soap pieces in microwave in 30-second increments, stirring between, until melted. Pour into your mold of choice. 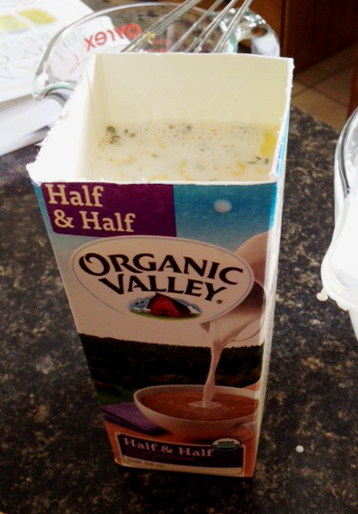 I used a cleaned half &half container with the top cut off because I like the idea of small, perfectly square soaps. You could also use a greased muffin tin, silicon soap or baking molds, or silicon ice cube trays for small soaps. Let the soap sit for at least 12 hours. Remove from your mold and cut into bars. Package any way you like. I like to wrap soap in parchment paper and add my own labels with the ingredients printed, especially if I give them away as gifts! Here’s the soap poured into my fancy mold. A lot of the petals floated up, giving the top of the mold the most organic matter in it. Here’s the finished product. Cutting about 1 inch thick slabs, this made 8 bars. I gave most away as gifts, but had a couple leftover for myself. It smells so good! Previous Previous post: start where you are.